2 Responses to Major mistake of the “Worshipers of Edgar A. Poe” always make. 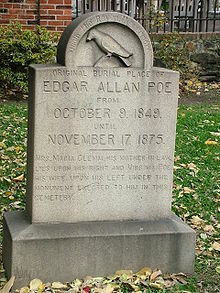 Yesterday the 19th was the anniversary of Edgar A. Poe’s birthday. And all I noticed was a news item from Baltimore that someone has picked up the tradition of leaving a single Rose and a bottle of hooch on his gravestone. There was some talk a few years ago that the Poe Cult wanted to remove Poe from Baltimore and re-plant him here in Philadelphia. I guess it came to naught. 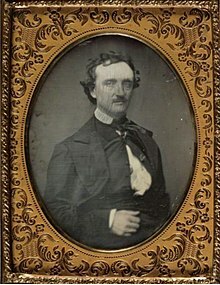 I think John Dalessandro is correct that young students of American Literature ought to be diverted from Poe’s ‘dissembled life’. Poe was basically an Alcoholic who never found any sort of recovery. He died with delirium tremens under suspicious circumstances in Baltimore where he was found unconscious in a gutter, near a saloon. Sad, he had such potential.